When it comes to penalties, domestic violence is unlike other crimes in so many ways. 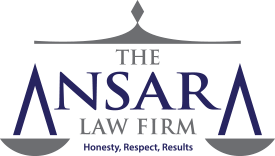 Fort Lauderdale domestic violence defense attorneys at The Ansara Law Firm are dedicated to protecting our clients rights from the moment of arrest through completion of their case. Often, arrests are made with scant evidence – sometimes with little more than the statements of the alleged victim. From there, defendants aren’t entitled to post bond or get out of jail before they see a judge. If the victim later tells prosecutors they don’t want to pursue the case, prosecutors often press forward anyway. Firearm rights are stripped, restraining orders may restrict movements and affect child visitations and an arrest can negatively impact child custody and pending divorce cases. A conviction can mean mandatory counseling as well as imprisonment. Probation requirements are often stringent, and unlike other crimes, a conviction for domestic violence can’t be sealed or expunged. Prosecutors in domestic violence cases in Fort Lauderdale and throughout Florida are also often specially trained. This is why if you have been arrested on a related charge, it’s imperative to secure representation from an experienced domestic violence defense lawyer. Because so many domestic violence allegations are the result of false assertions by spiteful partners or relatives, too many people assume the case will blow over. In reality, it isn’t likely to happen without experienced legal help. Domestic violence cases are automatically set to “No Bond” until the accused is brought before a judge. This happens at a first appearance. Defendants remain in jail at least until this time. By law, a person is required to have a first appearance within 48 hours of arrest. However, it is not unheard of when an arrest occurs at the beginning of a weekend (especially a holiday weekend) that a person could wait as long as 60 to 72 hours before a defendant sees a judge and bond is set. At the bond hearing, defendant will be advised by judge of the exact charge. The judge will also determine whether police had probable cause for an arrest, whether defendant can pay an attorney (or whether a public defender should be appointed) and whether conditions should be imposed for pre-trial release, if applicable. It’s a good idea to have an attorney present with you at this hearing if at all possible because the judge will be considering release conditions based on the severity charges, defendant’s ties to the community, prior criminal history and other relevant facts. An attorney can help bolster your chances of minimal restrictions by presenting evidence favorable to you. In cases where a defendant is charged with a “non-bondable offense” such as sexual battery, murder or kidnapping, defendant does have a right to request an Arthur hearing, at which time the judge will be asked to determine whether defendant should be released on bond. Each offense that is categorized as domestic violence is going to have its own minimum and maximum penalty. For example, false imprisonment is a third-degree felony, meaning it’s punishable by up to five years in prison. Stalking, meanwhile, is usually prosecuted as a first-degree misdemeanor, punishable by up to one year in jail (though aggravating circumstances can enhance it to a third-degree felony). If a crime is classified as domestic violence, this can be an aggravating factor leading the judge to impose penalties tougher than what might have otherwise been imposed. Beyond that, F.S. 741.283 sets a minimum term of incarceration for cases of domestic violence. Anyone adjudicated guilty of a crime of domestic violence involving intentional bodily harm to another person has to serve at least five days in county jail as part of their sentence. The only exception is if that person is given a harsher, nonsuspended sentence in state prison. That’s just the minimum, and the statute specifies there is nothing that precludes the court from additionally sentencing the person to probation, community control or more jail time. If a defendant has previously convicted or received an adjudication withheld for domestic violence, simple battery, aggravated battery or felony battery, any new charge of domestic violence is going to be treated as a felony. Any plea of no contest for a domestic violence misdemeanor will result in at least one year of probation and mandatory enrollment in a 26-week batter’s intervention program. The same will result in cases of adjudication withheld. Felony charges can range in severity, with the most serious resulting in potential sentences of up to 30 years in prison. Most, however, are third-degree felonies that carry five-year statutory maximums. Additionally, defendants face the loss of gun ownership rights, and a permanent criminal record is established with a domestic violence conviction that can be neither sealed nor expunged. Avoiding a conviction – or having the charges reduced – is the best way to a positive outcome.